The Melbourne Rudolf Steiner Seminar Ltd offers a range of programs based upon the work of Rudolf Steiner. It is a Registered Training Organisation (RTO#3984 CRICOS# 01812M) approved to deliver courses to both local and international students. It is also a member of ACPET, the Australian Council for Private Education and Training (member 182002). The Seminar has been conducting courses for 42 years for local and international students and is a member of Steiner Education Australia, the national association of Steiner education providers. Steiner Education is the most rapidly expanding education in the world, with six Steiner streams integrated into Victorian State schools and 46 independent schools throughout Australia. The Advanced Diploma of Rudolf Steiner Education, (Course code 10527NAT, CRICOS code 086202A) is a two year full-time accredited qualification. It provides an essential and critical pre-requisite pathway to a university Bachelor of Education at the Australian Catholic University, Charles Darwin and Deakin Universities , which qualifies graduates to teach in all Steiner schools but also in mainstream Australian schools. 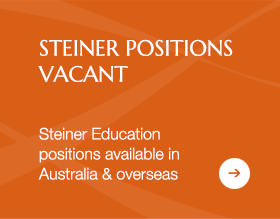 Graduates with this qualification are highly preferred in Steiner schools and employment is almost guaranteed due to the critical shortage of Steiner trained teachers available to meet the growing needs of expanding Steiner schools In Australia. 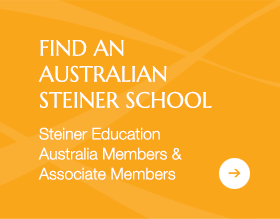 As Steiner Education Australia has been successful in seeking recognition from ACARA for the Australian Steiner Curriculum Framework (ASCF), it is essential that graduate teachers understand how to deliver this extensive curriculum. The Advanced Diploma of Rudolf Steiner Education has embedded the ASCF in its course structure and has full backing and support from Steiner Education Australia. 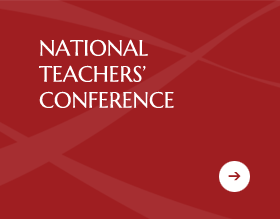 Nationally, there is a great demand for Steiner trained teachers. Graduates find excellent employment in early childhood settings, primary and secondary schools and in roles working with children with special needs. We are an approved VET Student Loans provider for eligible local students studying the Advanced Diploma of Rudolf Steiner Education, who in addition, may be eligible for Austudy. VET Student Loans assist eligible, full fee-paying students to pay for all or part of the course fees. The Seminar also offers part-time non-accredited certificate courses and Professional Development for Steiner Teachers, arranged upon request and customised to suit schools’ individual needs. We welcome local and international enquiries.